I’m writing to request that you deny permits for the Enbridge Line 3 project. The Line 3 project would have a significant and untenable impact on water resources and cultural resources, including wild rice. The dismal track record of the pipeline industry, and Enbridge in particular, shows that this project poses a serious risk to water and wetlands resources along the pipeline route. It is not a question of if a hazardous liquids pipeline will spill, but when. A recent Greenpeace report found that Enbridge and its joint ventures and subsidiaries reported 307 hazardous liquids incidents to federal regulators from 2002 to present — one incident every 20 days on average. These spills released a total of 66,059 barrels (2.8 million gallons, or more than four Olympic-sized swimming pools) of hazardous liquids. Thirty of those incidents were reported to contaminate water resources, including 17 which contaminated groundwater. Enbridge pipelines have also seen some of the largest pipeline spills in American history, including a 40,000 barrel spill in 1991 in Grand Rapids, MN, and a 20,000 barrel spill into the Kalamazoo River in Michigan in 2010. The path of this pipeline also crosses sensitive wild rice beds in the 1855 treaty territory of the Anishinaabe people. Wild rice is an important cultural and subsistence resource for the Anishinaabe (Ojibwe) people that are at risk from Line 3. For these reasons, the permits for the Line 3 project should be rejected. Additionally, I would like to request public hearings to be held throughout Minnesota, including hearings located on the Tribal Reservations whose treaty lands would be crossed by the Line 3 project. The Line 3 tar sands oil pipeline is currently under review by the federal Army Corps of Engineers! This federal public comment period on Line 3 closes soon, and we need your voice to stand up for water, Indigenous rights, and our climate. The Big Oil-backed forces who want to push the pipeline through don’t want you to know about this public comment period. The Army Corps of Engineers quietly opened up a 30-day public comment period on a crucial water permit that Canadian oil company Enbridge needs to build Line 3 – and they did it over the holiday break so we’d be as distracted as possible. Our allies in Minnesota won a brief extension of the comment period, but it’s still closing soon. We need to speak up now louder than ever to make sure our voices are heard and ensure that this dirty pipeline is never built. Enbridge wants to run this line from Alberta to Wisconsin through the sacred wild rice beds and treaty territory of the Anishinaabe people, crossing multiple Canadian provinces and three U.S. states. There’s massive public opposition to this pipeline, and we even have allies in Minnesota’s government looking for ways to stop it. Your public comments can make a difference. 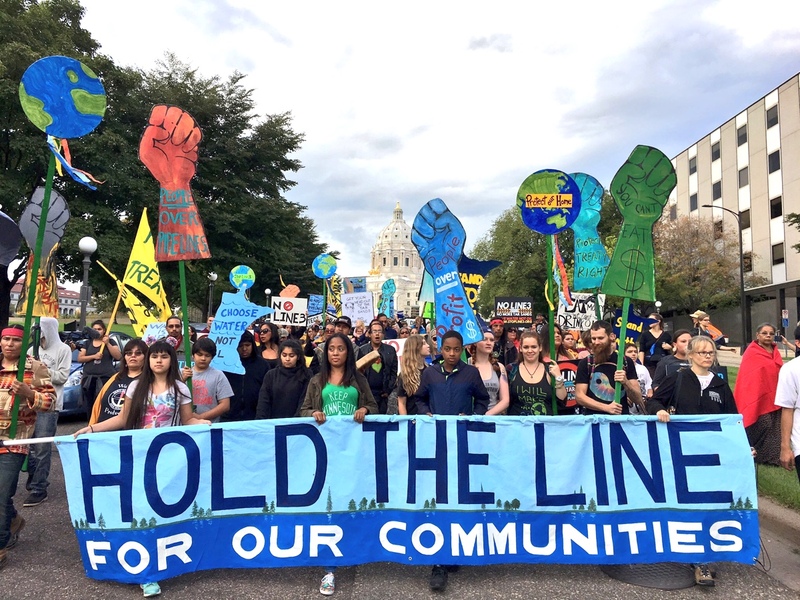 We need to flood the public comment period and make clear that the Line 3 tar sands pipeline would be devastating for water, for our climate, and for Indigenous communities and their wild rice beds along the pipeline route. The deadline for public comments is coming up quickly, so time is of the essence. Submit a public comment to the Army Corps of Engineers against the disastrous Line 3 tar sands pipeline before it’s too late.